Dried lavender can be bought online in quantities from 50g to 10Kg. We have a wide selection of dried lavender types including French Fragrant, Blue & Organic, plus UK lavender and culinary (edible / cooking) lavender. Dried lavender is available loose, and the more you buy, the better the price. Our larger sizes are available at a wholesale price to all. Enter shop for latest stock and offers. Online catalogue with many other items. Fragrant dried lavender, Lavandula X Intermedia ‘Grosso’ variety. Coming from the lavender fields of Provence, this dried lavender is high in essential oils, producing a highly fragrant flower which is great for lavender bags, home crafts and weddings. As low as £10 a kilo - or less! UK lavender Similar to the above but grown in the UK! Fragrant dried lavender Lavandula X Intermedia. Slightly more expensive than the French but worth it. This is a naturally pale blue variety of Lavandula X Intermedia from France with a soft fragrance. Great for photography and where visual impact is important. A certified Organic variety from France with a soft lavender fragrance. Suitable for lavender bag making and aromatherapy. None of the lavender on this page is suitable for food use. 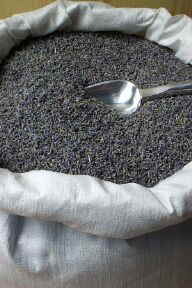 See our lavender cooking page for culinary lavender. New wider range including bulk packs and UK culinary lavender. To buy our dried lavender, just click on Enter Shop above to visit our online shop at www.daisyshop.co.uk, where you can browse our product range and pay securely.